We’re Charged Up For Ioniq! The day is almost here! 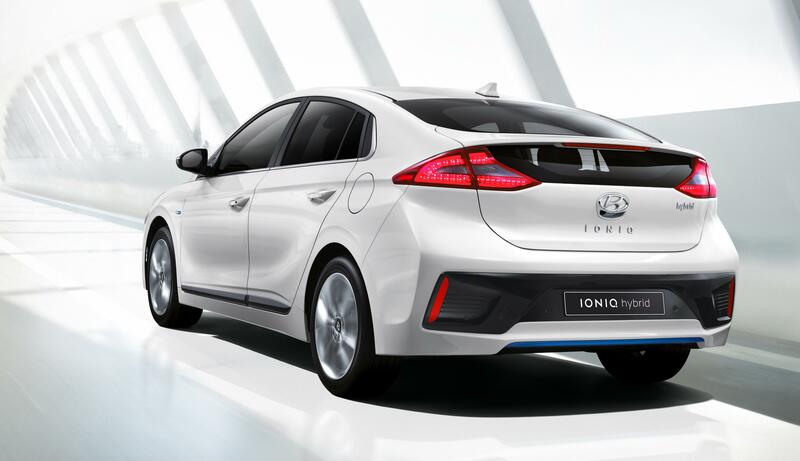 The Ioniq – Hyundai’s FIRST electric vehicle – is set to make its debut at dealerships everywhere this Fall. If you’ve been waiting for the perfect time to make your entrance into the world of efficiency AND style, this is definitely it. Complete with an aerodynamic and rigid body structure, the Ioniq delivers on all of the desired features of your regular Hyundai but with a little extra wonder. On top of that, the Ioniq is the world’s first car offered in THREE electrified versions: All-Electric, Hybrid and Plug-In Hybrid. The All-Electric model will be the first one to become available later this year. So what’s all the fuss about? Keep reading to find out! From the outside in, Ioniq is enough to make you look twice. A sleek and intelligent exterior design speaks to Hyundai’s next level innovation only to continuously impress once you’re in the driver’s seat. Ioniq’s exterior is made with a smart blend of aluminum and high-strength steel, which has decreased the vehicle’s overall weight, adding even more efficiency.Using less energy leads to a higher overall MPG with better range and superior acceleration. The carefully selected materials include several active and passive aerodynamic features, an active aero front grille, wheel air curtains, rear spoiler and smooth underbody cover. Head to the inside of the vehicle and prepare to be inspired. Ioniq is chock full of exciting features including a power tilt-and-slide sunroof, heated front seats and a standard 7-inch color touchscreen display and rear view camera. Available LED interior illumination and wireless device charging create the perfect environment for a truly unforgettable driving experience. Adding to its overall green initiative, sugar cane accounts for 25% of the raw materials used in the soft-touch door trim panels. The combination of plastic, powdered wood and volcanic stone work together to reduce the weight of interior plastics by up to 20%. Good and good for you, as they say! Hyundai’s safety standards are always top-notch and nothing changes with Ioniq. Many of the safety features available include Automatic Emergency Braking with Pedestrian Detection, Blind Spot Detection with Rear Cross-traffic Alert, Lane Departure Warning and Smart Cruise Control. We can agree that everyone’s goal is to get where they’re going in one piece and Hyundai is always ready to make sure that happens. You can feel confident that Ioniq will give you the safest ride possible. Ioniq is the first of its kind in the Hyundai world and with that status comes some pretty awesome features to match. Apple CarPlay and Android Auto are just the beginning – Smart Cruise Control, smart phone integration and wireless charging all make for a convenient and advanced technological experience. 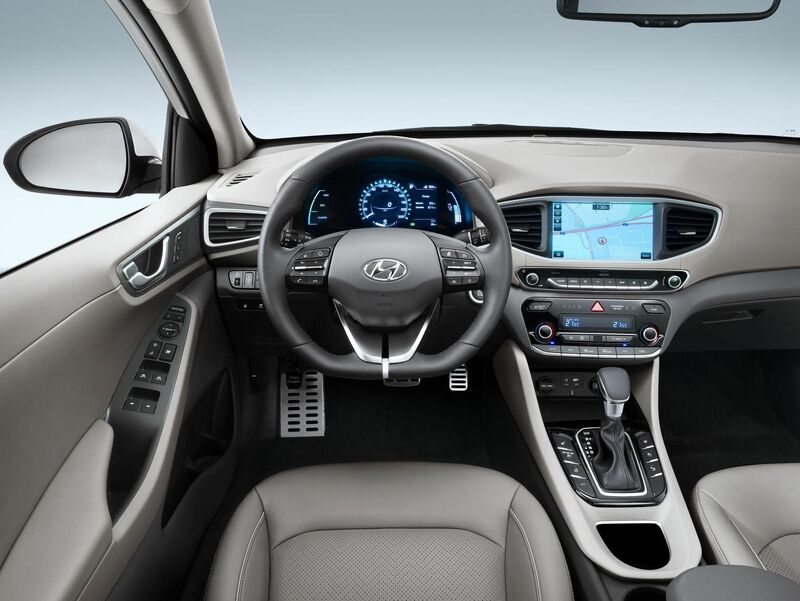 Hyundai even thought to include a tablet holder located between the two front seats for your convenience. No complaints here! Throw in your SiriusXM Satellite Radio and your Integrated Bluetooth and you’ll be set for whatever comes your way. It gets better: the available MyHyundai with Blue Link app has features that will allow you to monitor your vehicle’s battery levels, see if you need to plug in and set a charging time that helps you take advantage of lower, off-peak electric rates. Everything you could need all right on your phone. It really doesn’t get much easier – or cooler – than that. Pair all of these awesome features with an unbelievably reasonable price point and you’ll find that the Hyundai Ioniq will satisfy not just your needs, but many of your wants. Keep an eye out for Ioniq at Lester Glenn Hyundai! The 2017 Chevrolet Silverado Continues to Impress! Gas Tax Got You Down? We’re Here to Help!